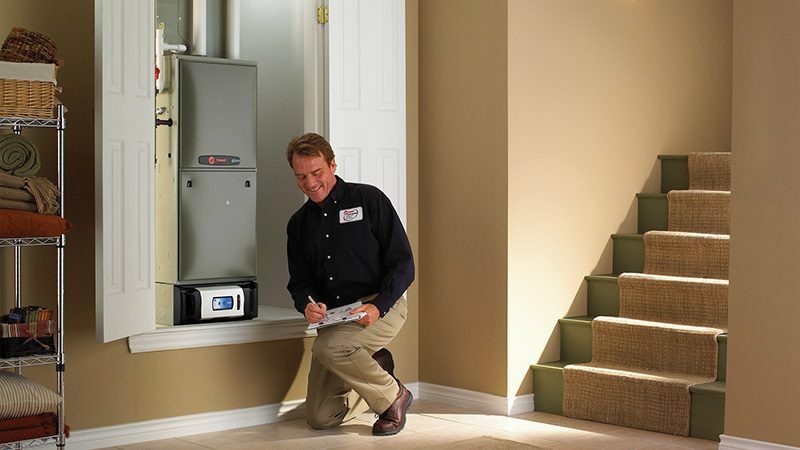 Heating Maintenance Monroe NC | Byrum Heating & A/C, Inc. Fact: It takes a trained HVAC service technician to maintain your heating and cooling system properly. Sadly, most homeowners assume they can do it themselves, or they forgo routine AC and heating maintenance altogether. If you fall into this group of risk-takers, be forewarned that your HVAC system will eventually break down and cost even more, to repair or replace when it happens. Trying to maintain your heating and cooling system on your own without the proper training isn’t a smart idea either, even if it means saving a few extra dollars. The risks to your safety and the possible damages that your property might suffer aren’t worth it. At Byrum Heating & A/C, Inc., we advise that every homeowner invests in a preventive maintenance agreement to ensure optimized efficiency. Whether it’s saving money by conserving more energy, reducing the need for repairs or prolonging your system’s lifespan, there are many benefits to investing in a preventive maintenance agreement. For homeowners, the initial cost will pay for itself by lowering monthly utility bills by up to a whopping 40 percent. As a business owner, you’ll avoid the costly consequences that a breakdown could lead to–including a decrease in employee activity, or fewer visits from customers. Although the initial investment in a preventive maintenance plan might seem daunting to many, Byrum Heating & A/C, Inc. believes it’s cheaper to be safe today than sorry later. Our tune-up pinpoints every component and checks every task on our comprehensive maintenance to-do list. It operates at peak efficiency and uses the least amount of energy to heat or cool your home or business. All developing issues are repaired immediately to avoid major breakdowns in the future. We continuously monitor your air conditioner and heater for maximized performance. For additional information about the HVAC services we proudly provide to the aforementioned communities in North Carolina, or if you’re interested in scheduling professional AC or heat pump maintenance today, contact Byrum Heating & A/C, Inc. at (704) 208-4165. We look forward to receiving your HVAC request.